Technology and field services have always had a very close relationship, but it's also one that has certainly escalated over the last few years in particular. In an effort to increase efficiency and productivity, cut costs, and improve the quality of service that they're able to offer to their clients, many field services businesses regularly turn to modern technology to help check as many of these boxes as possible. Along those lines, there are ten key technologies that are poised to transform field services in the not-too-distant future that are certainly worth paying attention to. For high-performing field services organisations, these examples aren't just born out of a powerful and positive sense of disruption. Many companies are using them to grow more competitive (and more profitable) every single day and as you're about to find out, that really is just the tip of the proverbial iceberg. Cloud-based performance monitoring, at its core, is about more than just taking a look at general metrics like productivity and efficiency. It's about bringing together both traditional and mobile tools like apps and services that your field service technicians are using, guaranteeing that they're all being used in the best ways at all times. With cloud-based performance monitoring, not only can you instantly see trends (like technicians who are struggling to resolve problems in the field on the first try) that would have otherwise gone undiscovered, but it's also easier to uncover the best possible solution to these problems as fast as you can. AI-powered business intelligence solutions allow field services organisations to finally break free from the reactive, break-fix operational model they've been trapped under — taking a far more proactive approach to their daily activities than ever before. These systems automate manual, time-consuming tasks like diagnostics and data collection and identify the best solutions to issues automatically. The types of dashboards and other reporting solutions that fall under this category don't just guarantee significant gains in terms of optimising resource management, but can also help prevent costly return visits to customers and provide stability and reliability in a way that improves that customer experience as well. Autonomous vehicles becoming a ubiquitous part of our lives is a lot closer to being a reality than one might think and perhaps nobody stands to benefit from this more than field service organisations around the globe. Autonomous cars can help boost productivity (and generate time and cost savings) with features like optimal route guidance for engineers out in the field, for example. At a certain point, it will even be possible for field service organisations to send cars with necessary equipment directly to customers for tasks that can be solved themselves — thus freeing up the time of engineers to attend to the problems that actually need them. The Internet of Things, a series of countless devices that are all connected to one another and are constantly creating and sharing data over the Internet, is also poised to affect field services in a big, big way. Not only will this allow the industry to switch from reactive to proactive repairs(when paired with the right intelligence software), but it's also a perfect opportunity to increase revenue and generate new revenue streams by allowing organisations to take advantage of opportunities in new and emerging industries. It can even enable real-time and remote diagnostics for better, more efficient services to begin with. Make no mistake about it: relying on mobile technology is one of the key ways to remaining competitive for any field services organisation, which is a fact that makes smartphone and tablet software integration of paramount importance. Embracing this trend and mobilising your field services team won't just reduce paperwork and travel time. This new level of accessibility and connectivity will allow employees the flexibility they need to better meet the needs of individual clients, will offer data insight and real-time information from any location and will again allow them to provide a better level of service to all clients, no matter what. E-payment and mobile billing software options are another key trend that field services organisations will want to watch out for, as they're about more than just giving technicians the ability to accept payments on-site. They're a chance to truly revolutionise your payment collection process, allowing you to shorten payment processing time, provide more flexibility for customers, and gain better (and real-time) insight into your cash flow all in one fell swoop. Blockchain technology, a digital ledger that records transactions in a way that is both A) visible and B) permanent, also stands to revolutionise field services sooner rather than later. This is especially true when you consider it within the context of another previously mentioned key technology, the Internet of Things. Experts agree that blockchain will soon be critical in terms of tracking and verifying transactions that happen within IoT platforms. But with advancements like smart contracts, field service technicians can automatically execute events such as getting an engineer into the field or shipping a part, as a part of that original transaction. GPS tracking is not a new concept, but many people are still unfamiliar with the major benefits it brings to the table for fleet management in particular. GPS tracking and smart scheduling solutions with real-time traffic updates can not only guarantee your drivers are always using the most efficient routes, but this in turn lowers fuel costs, increases the overall productivity of your field services, and helps empower your bottom line — all at once. Customer Relationship Management (CRM) solutions like Microsoft Dynamics CRM Field Service also bring with them a host of unique benefits that are far too powerful to ignore. Not only do they offer features like intuitive, visual, and highly flexible drag-and-drop scheduling boards for resource allocation, but they again have strong mobile capabilities like native mobile apps and offer features like automated scheduling and routing optimisation for maximum efficiency. Once again, this is the perfect chance for your entire team to work "smarter, not harder" in a way that your customers (and your bottom line) will greatly benefit from. Finally, we have Enterprise Resource Planning systems or otherwise known as ERPs. The goal of an ERP is to unlock total visibility across your entire field services organisation from a single, simple platform that is always available from anywhere, at any time, no exceptions. 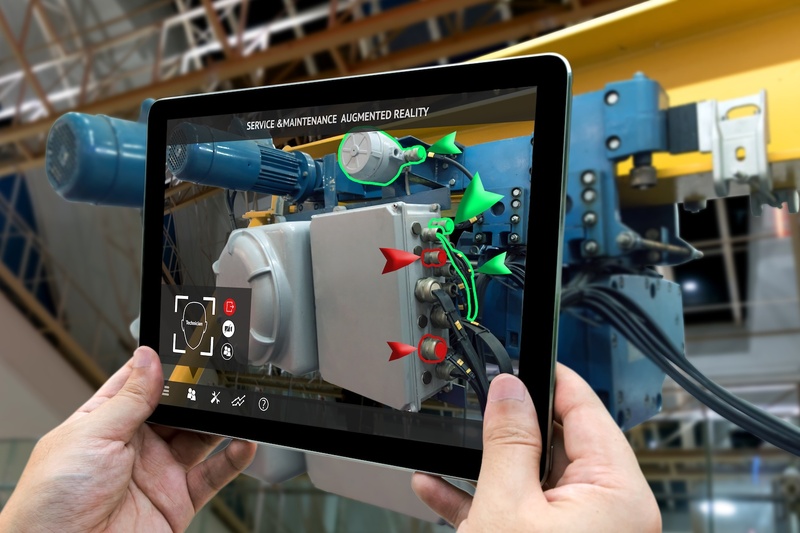 Not only will this help streamline the day-to-day manual tasks that field techs have to go through that often prevent them from focusing on real customer issues, but all data entered into the ERP is also accessible from any device. It's again a way to support the mobility and productivity of your technicians, which itself allows them to focus as much of their attention on your actual customers as they can. The best part of all is that a lot of these key technologies are already here, you just need to have the right solution by your side to access them. Dynamics 365 for Field Services, for example, already offers cloud-based performance monitoring, AI and business intelligence, the Internet of Things, and sophisticated CRM and ERP capabilities all in one incredibly convenient and forward-thinking package. Not only is a solution as robust as Dynamics 365 for Field Services your key to taking advantage of key technologies like these, but it's also your best shot at guaranteeing that you wind up exactly where you need to be once this transformation of field services is finally complete. If you'd like to find out more information about these or other key technologies, or if you've just got any additional questions that you'd like to see answered, contact Lanrex today.